Keep one 'Cat' in the bathroom! 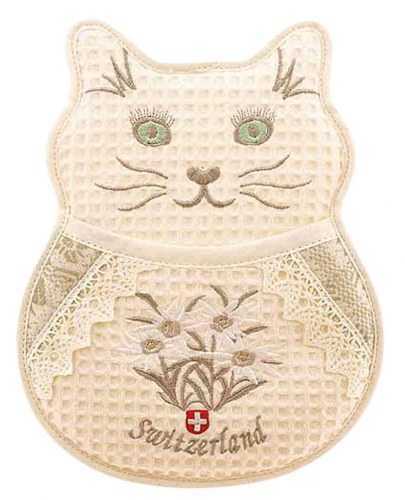 For beautiful Swiss theme bathroom decoration get the complete ‘Beige Bathroom’ set. Works well as a wash cloth in shower. Front pocket for better grip of the pots and pans or to hold the soap. Service Area: New Glarus, Freeport, Rockford, Sun Prairie, Loves Park, Machesney Park, Baraboo, Roscoe, Platteville, Waunakee, De Forest and surrounding communities.